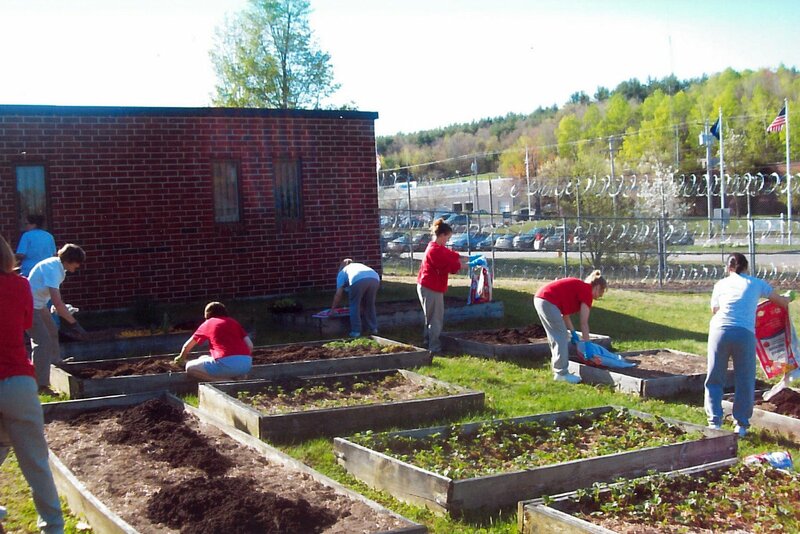 For the past several years, Anne Krantz, a past president and long-time Amherst Garden Club member, has been working with Margaret Hagen at the Women’s Prison in Goffstown to help the women plant and nurture vegetables that can be used in food preparation in the prison kitchen. 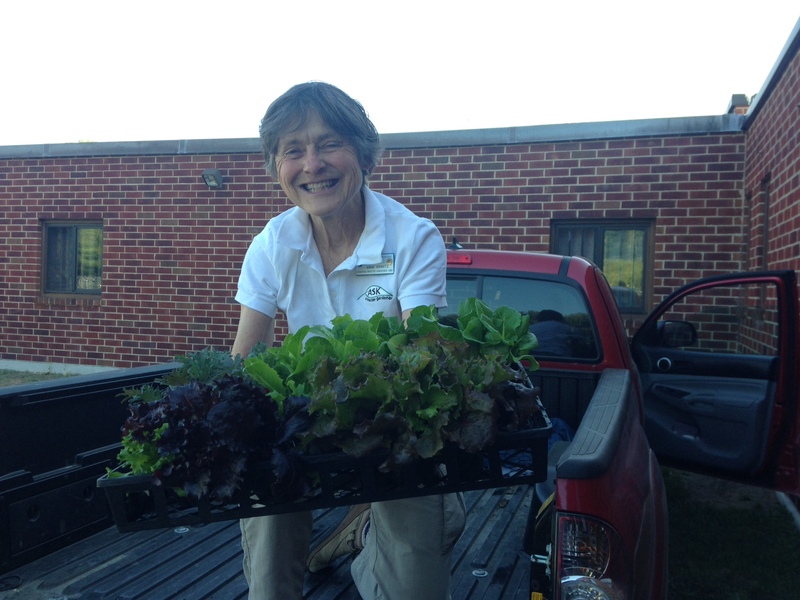 Margaret is the Food & Agriculture Field Specialist with the UNH Cooperative Extension in Hillsborough County, and has been a past speaker at the AGC. Anne knew that the project needed funds to improve the gardens and approached the Amherst Garden Club Charitable Fund. Once the form was filled out and the Charitable Fund committee agreed that the project fulfilled the mission of the club, the committee members recommended that $300 be given to the cause. The results have been outstanding. The women planted seven kinds of lettuce, radishes, kale, cucumbers, zucchini, green and purple bush beans, sugar snap peas and pink pumpkins from seed. They also grew hot peppers, tomatoes, herbs and garlic. On one day in July, they sent 25 pounds of produce to the kitchen. The herbs that they sent were used in pizza. Margaret says that she emphasizes growing both greens and cherry tomatoes as they produce in large enough volume to actually incorporate them into a salad for 100+ people. With less than 400 sq. ft. of garden space, the gardeners can’t fit in a large number of plants, so the rest of the produce comes in smaller quantities. While eating the produce is a great outcome, the process is even more important than the product and how it is used. Margaret teaches skills: how to plan a garden; how to amend and fertilize the soil; how to mulch, irrigate, compost; how to scout for insects and weeds and deal with them; and how to harvest, clean and prep the garden for next year. This is the fourth year for the garden and Margaret says that the women are beginning to take on leadership roles. The goal is to have the experience and skills to aid them in the future. Anne has dedicated her time and knowledge and has kept the club connected to this project. An important part of the garden club mission is to “provide education and resources…to promote the love of gardening.” The AGC has provided the funds to educate and the resources to teach women in very different circumstances than their own to garden and to have pride in what they accomplish.